Situated in the north of Spain and linking the two provinces of Asturias and Cantabria, the Picos de Europa are a smart choice for your next adventure holidays in Spain. 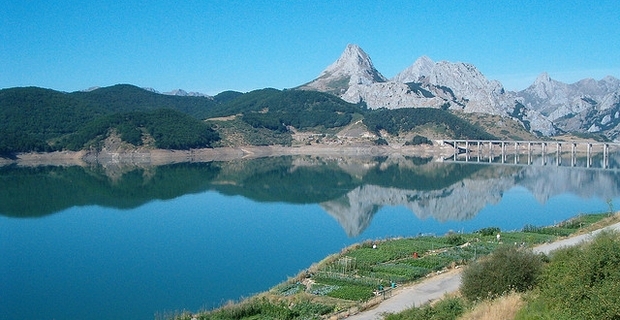 Less daunting and less crowded than the Pyrenees, they offer challenging terrain, fantastic views and some of northern Spain's most attractive villages. Hiking is an obvious attraction in the Picos which boast some of Spain's most glorious trails. Follow the old irrigation channels along the Cares Gorge for 12 kilometres from Poncebos to Cain for one of the most satisfying walks in the region, through a chasm more than a thousand metres deep.Those who like a challenge on their adventure holidays in Spain might enjoy the ascent of the Naranjo De Bulnes, a prominent, orange-coloured limestone peak that looms above the quaint village of Bulnes. It's a tough climb and requires expertise. Those planning to tackle it usually stay in the nearby 'refugio' at Vega De Urriello, or camp in the meadows.Mountain biking is a popular pursuit in the Picos. Trails and dirt roads link pretty villages, and tend to follow the valleys so climbs are not too arduous. With a little planning and a good map, it's possible to compile a circular itinerary staying at cheap village hotels or backpacker hostels.The Sella river on the Asturias side of the range offers some of Spain's best water for canoeing and kayaking. While some descents can be challenging, there are also areas on the Cares and Deva rivers that are more suitable for learners and beginners. Your adventure holidays In Spain begin with a direct flight to Asturias. Easyjet offer flights from London Stansted. Book well in advance and you can usually find fares for under £100 return. Alternatively, ferries from Portsmouth or Plymouth to Santander bring you within easy reach of the Picos and make it possible to take the family car.